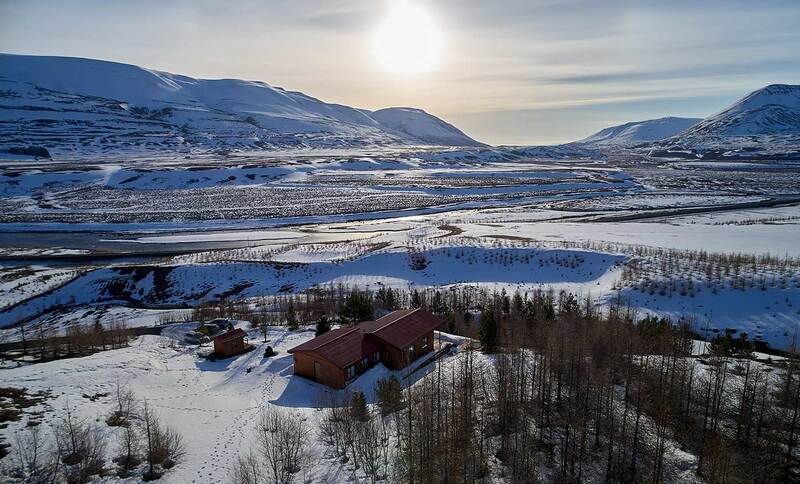 Enjoy the privacy of our holiday homes and the view of Iceland’s nature together with friends or family. The fascination of Iceland can be experienced in the excellently equipped and scenic accommodations of Nordic Lodges. Spend an unforgettable holiday in Iceland! Our holiday home Hamragil in the north of Iceland combines a lot of space and privacy with a unique view. There are several ways to spend a holiday in Iceland. From the package tour with flight, hotel and tour guide in the group, over a self-booked rental car tour with stay in hotels, up to the individual camping vacation the range of possibilities reaches. Many visitors choose a package holiday for their first holiday in Iceland, because they may not know how easy it is to discover Iceland on their own. More than a first impression of Iceland’s most famous sights is not possible. Often these package tours only see the attractions of Golden Circle such as Gullfoss, Geysir and Thingvellir, as well as well-known destinations along the south coast such as Skógafoss, Seljalandsfoss and Vík. 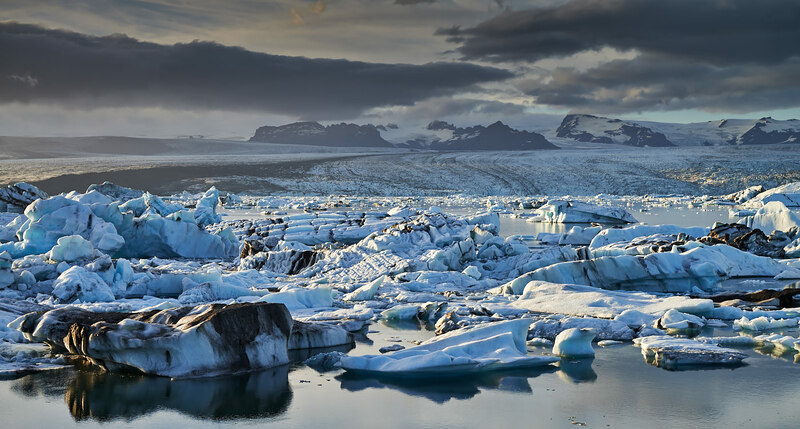 Some tour operators also offer the Skaftafell National Park and the glacier ice lagoon Jökulsárlón in the southeast of Iceland, or a visit to the Snaefellsness Peninsula (Snæfellsnes) in the southwest. If you want to get to know Iceland and don’t want to spend your holidays according to pre-defined schedules or together with strangers, you should definitely think about planning your stay in Iceland individually. Renting a car and accommodation in Iceland is very easy to do on your own. The holiday homes of Nordic Lodges offer a maximum of privacy and space compared to hotels or camping accommodations. You already have the most important “ingredients” for your Iceland vacation. Everything is very simple. Check our website to see which holiday homes are available at the desired travel time. You can combine several holiday rentals in different areas of Iceland for one trip. Our cottages are located in the south, west and north of Iceland and in the middle of Golden Circle. As soon as you have found suitable dates for our holiday homes, it is time to select a suitable flight. Currently about 15 airlines fly to Iceland in winter. In summer there are about 25 providers. On our website Nordiclodges.com we recommend Wow-air, Easy Jet and Icelandair. But depending on your hometown, there are other flights to Iceland that may be better for your arrival. Once you have booked your flight, book one or more of the selected holiday homes. When booking a holiday home, 10% of the rental price is due as a deposit by credit card. The remaining 90% of the rent must be paid one month before arrival. Once the flight and holiday rentals have been booked, the selection of a rental car is on the “Recipe list”. 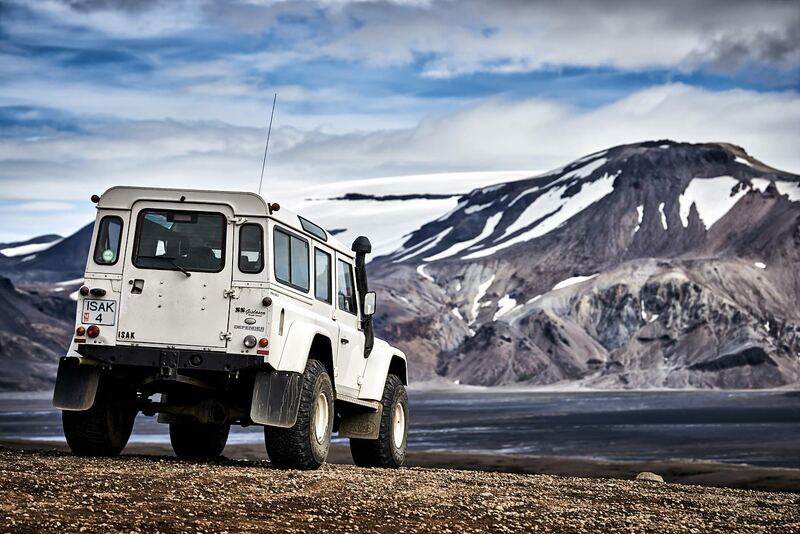 Iceland now offers a wide range of rental cars for every need. On our website we recommend various car rental companies that offer discounts to Nordic Lodges customers. This applies both to the well-known rental car brand Hertz and to the inexpensive rental car company Firefly, which is also very reliable. If you plan to drive one of the highland routes with crossing rivers, you should have a look at the 4×4 rental car company ISAK: Their vehicles are suitable for highlands. This allows you to travel to the highlands, which is usually not possible with other providers. All offers can be found on our website under “Roof ´n Route > Transportation“. The combination of vacation rentals as accommodation and car to discover Iceland is the most beautiful way to move freely and autonomously in Iceland. Of course, without a flight you cannot get to Iceland and without a car it is difficult to reach our holiday homes or the attractions near your accommodation. However, the stay in the cottage is more important for your holiday and your relaxation than flight and rental car. Because our dreamlike holiday houses are all located at scenic places and are equally high quality and tastefully equipped. They are the perfect starting point for interesting destinations in the area and a wonderful retreat after returning from your discoveries. In our own Hot Pot (all vacation cottages except Tvera in the West Fjords) you can relax . Or you can cook and eat inside the house. Here you can also enjoy a day of rest if the weather is not so good or if you simply prefer peace and quiet. With the proven Roof´n Route concept you can easily visit different regions of Iceland, always with the certainty of the high quality of Nordic Lodge holiday homes and the possibility to book accommodation from one source. Did you know that all Nordic Lodges holiday homes are privately owned and we only offer accommodation of the highest quality standards on our website? We want to make your holiday in Iceland unforgettable. That’s what our holiday homes stand for, that’s what Nordic Lodges stands for.